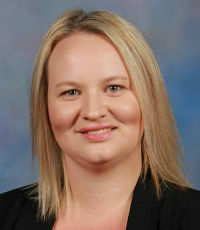 Jessica Hall is a leader in the field of innovation in educational leadership excellence. Hall’s learning and leadership disposition is evidenced by strong strategic insight, exemplary change management and collaboration skills, as well as a tenacious capacity to deliver. At Ave Maria College, Hall has introduced CHALK, an interactive online portal that supports growth and development in teaching practice. Her leadership in this role has ensured that staff, students and senior leaders can effectively offer feedback on teacher practice, celebrate achievements and ensure an efficient mechanism for staff professional learning on a semester basis. Hall has also been responsible for the successful implementation of the school’s learning management system, which has been widely applauded by staff, students and parents.